Here you can find a reader for the protest week in english, made by activists from Hamburg. It contains the most important dates for actions, some basic information about infrastructure, a map and practical tips. A printed version will be available in the days in Hamburg all over the town at Infopoints. On July 7-8 the G20 Summit is happening in Hamburg. The city’s authorities plan to transform it into a democracy-free zone of complete surveillance, enforced by paramilitary means. We wrote the letter below to the Senate of Hamburg to protest. DiEM25 will be in Hamburg for the Summit to take the fight to the Establishment in our own special way: with Constructive Disobedience. All welcome – join us! We are the Democracy in Europe Movement 2025 (DiEM25), a pan-European alliance of European citizens for the democratisation of Europe. What we are witnessing in Hamburg worries us deeply. Press the button „Eintrag ansehen“ and you will see on the map where the accommodation is placed. You can also see in which period of time you can stay (“von”= from, “bis”= to) and how many persons can be hosted (“Mögliche Personenanzahl”). The date format is: day | month | year. In only three weeks we come together in Hamburg from across Europe and the world to protest against the G20´s spectacle of power. Just three weeks until we fill the streets and squares of Hamburg to show that another world is necessary; that it is possible starting with our solidarity on the streets; and until we reject the exploitation, social precarity, wars, ecological devastation and social division that the world’s 20 most powerful leaders and their delegations will organize. This parade of monsters should decide our future? No, they don’t represent us. It is not just the Trumps and Erdogans, the Temers and Putins, the Modis and Zumas, the Merkels, Mays, Junkers and Macrons. No, the monster is a “system”. A system based on the exploitation and systematic appropriation of work, wealth and land of the many by a few – in its neoliberal form represented by Merkel, Macron and the EU’s transnational elites, and in its nationalist reactionary form represented by the authoritarian, racist and sexist Trump, Erdogan and King Salman. They are two sides of the same coin. What is at stake in Hamburg is nothing less than the future of our Planet Earth. We already know that their negotiations will not solve any of the current and upcoming wars and military conflicts, will not stop the devastation of the continents, and will not help any of the millions fleeing from war or poverty or those who face impoverishment in the richest economies (see http://g20-protest.info/category/calls/english/). We know that many of you are planning to come to Hamburg. Others might not make it, but want to follow the news, organize solidarity actions and disseminate information. This is why we’ve compiled as much information as possible in an international newsletter to give you a good overview. However, please be aware that things may change quickly: to stay updated follow us online (see 5 below). 3. Logistical matters: accommodation, travel info, bus coordination and where to get information. 4. Legal help and police matters: what you need to know in case of repression, important numbers and helpful information. 5. How to stay tuned for updates and support us: where to find last-minute information and support the activists. 1. Overview of the political situation in Hamburg: a compact week against their summit. A variety of activities have already taken place in Hamburg and around the G20 ministerial meetings (not to forget the massive protests in Brazil and Argentina these days, both part of the G20). But in Germany for example, in March when the G20 finance ministers met in Baden-Baden; or last week in Berlin, when hundreds of protesters led by anti-racist and refugees groups opposed the Merkel/Schäuble “G20 Compact with Africa,” partly because it will become a feast for multinational corporate privatization at the expense of taxpayer subsidies, partly because the “Africa Partnership Conference” was also clearly about how to secure better the borders of Europe. Other protests will take place in the week before the summit itself (e.g. on July 2 with a “wave of protest” going through Hamburg: see www.protestwelle.de). However, the G20 platform encouraged all groups and networks to organize protest activities against the G20 in a “compact week“ of debate, direct action and a demonstration that gives a picture of how many and how diverse we are. The aim of this compact week is to be in the Hamburg city centre, when “they” are there, to have our protests and critique heard and seen, and to practically link different forms of action and critique. Of course, such an approach of solidarity, connection and convergence is usually not welcomed by those in power – especially not by the city government of Hamburg. Often we meet bitter opposition to our rights to struggle, to assemble and to protest, from the police or the state. Activists are criminalized and presented as vandals, legal orders are issued restricting the freedom of assembly and movement, a discourse that prioritises “security issues” and fear above the question of democracy and free speech is launched. In Hamburg, we now see a red-green government delaying talks on / negotiations for public camps for activists. We see a red-green government issuing a broad legal order that declares Hamburg on July 7 and 8 specifically to be a democracy-free zone, outlawing any assembly, movement or camp for July 7 and 8 in an area covering almost all of Hamburg city centre and around (see here for a map). Importantly, the demonstration on Saturday is legally registered and will take place! There is now a public outcry against repression in Hamburg. 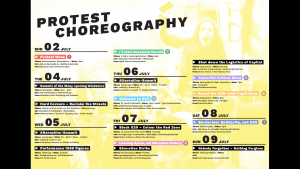 Reaching beyond those who are active in the No G20 protests, a “campaign for the right to assembly” has formed and will publish a call for support. Church members will call for “round tables” and public debates, and more will hopefully follow soon. Furthermore, we will of course fight this order through the courts. We will go to court to support each assembly and demonstration that might be affected. Besides, we are building as broad alliances as possible – with all those who don’t accept living in a city that outlaws democracy. And we claim that the right to assemble and the freedom of movement are best preserved when practiced on the streets of Hamburg by as many people as possible. In 2017 the Bastille stands in Hamburg! Let us be many, let us be loud, let us send a strong and visible sign across the world that we reject the G20 and the politics they represent and practice. Let us demonstrate that another world is necessary, and indeed, is possible and that we are already building it (for the international call to join the protests in Hamburg see http://g20-protest.info/). We are saying that they don’t represent us – not in Hamburg nor in Africa, the Middle East or Asia, the Americas or elsewhere in Europe and the world (http://g20-protest.info/category/general-information/open-letter-to-hamburg/). We will fight these orders and this discourse through legal processes, by public interventions, and by building broad alliances with movements, civil society, organizations and NGOs, so that tens of thousands of people will be in Hamburg in early July: at the alternative summit, the camps, the transnational demonstration, the mass blockade, the numerous civil disobedience actions as well as many other initiatives and happenings. We will meet, discuss, and practice our vision of a world of freedom, equality and solidarity! So now, please take some time to look at the variety of activities planned so far. We will be on the streets, we will find accommodation for all of us, we will be together and we will say loudly: Solidarity beyond borders instead of the G20! The social centre collectives are gathering all information on all activities and will publish a map and a reader for all of us to use. More than 50 initiatives and organizations from Germany and abroad are inviting people for the international “Global Solidarity Summit“. As an answer to the G20 Summit on 7 and 8 July, the “Alternative Summit“ will bring together and amplify our criticism, discuss alternatives and, above all, build alliances and develop strategies for the implementation of a policy for global solidarity. There will be 11 panels with international guests, e.g. highly renowned economist Jayati Ghosh, globalization critic and winner of the alternative Nobel Prize Vandana Shiva from India and the leading Kurdish politician Salih Müslim from Rojava. In addition to the panels, there will be numerous discussions and practical workshops. Here is the space to exchange final questions, concerns, updates within the international circle. Location to be announced but it will be at the site of the Global Solidarity Summit. The first day of the G20 summit and the day of disobedient mass actions throughout the city! Student strike with demonstration called by a coalition of social, internationalist, trade unionist and antifascist youth groups, organizations, initiatives and individuals. “We don’t car!” (twitter: #cmasshh). Stop the lines of cars of the G20 with a huge bicycle tour, promoting environment- friendly movement. Starting from Deichtorhallen at 11 am with a (German/Turkish) opening rally with speeches from all parts of the alliance and welcoming words in different languages by international participants (for a map click here). Join the international representative block right at the front of the demonstration to highlight the global dimension of the No G20 protests. Bring your banners and symbols. A contingent / bloc of the alliance and international delegations, activists and comrades will open the march. Please make sure that you bring posters, banners and signs that tell the world what you want to say in your language, and that help to demonstrate that our alliance, the resistance and protest against the politics of the G20 is indeed international and global. Many of you come from far away and travel in larger groups. Here you can find some updates on bus coordination, the information system, accommodation – and how to make early contact with those organizing these matters. If you are travelling in a larger group or convoy, get in touch with us through international [at] g20-2017.org. Let us know where you are coming from and when, so that in case you experience problems with the police we will be notified. Please include an email address or phone contact for a reliable contact person for the busses from each region. Please notice that this contact address for busses is not appropriate for further safe communication! The task now is to establish the necessary contact with all the busses so that we can then establish communication for later on the trip itself. Shortly you will find this mail address for the busses on the NoG20 International website too (see: http://g20-protest.info), together with a contact phone number. If you want to participate at the BlockG20 action on Friday, make sure to be at the Camp in Hamburg by 15:00 at the latest for the final action plenary! Please be also aware that for the G20 the Schengen treaty is suspended. We do not know to what extent the police will prevent activists from crossing the border into Germany. But be prepared for police controls! If you are a larger convoy, you might want to think about bringing press and parliamentarian observers from your countries/regions with you, or at least be in touch with some. At Arrivatipark (“Neuer Pferdemarkt” outside the blue zone: for a map click here) you can gather first information, orientation and craft your own protest materials. There will be accommodation for you! Two camps are being planned: one by an autonomous preparation group (the so-called “anticapitalist camp”) and one by a broader coalition for everybody. Both have registered campsites with the city of Hamburg: the autonomous “anticapitalist camp” at the Stadtpark and the “spectrum-wide camp” at Volkspark Altona. It has been a long process of fighting, going to court, and negotiating, and we are doing everything possible to have a camp take place; if not, there will be alternatives! Both camps should provide – aside from camping and eating possibilities – political barrios and space for common discussion, final action trainings and plenaries. For updates and information: http://g20-camp.de/ (spectrum-wide camp) and https://g20camp.noblogs.org/ (autonomous “anticapitalist camp”). We will have a NoG20 (international) info hotline established for the days starting with your trip (more or less) and ending when you are home or when the last busses have crossed the border. This will be posted on the website (https://g20-protest.info) a few days before July 5, so please stay tuned. The hotline will give you info when needed, and will arrange for legal support in case of troubles with the police on your journey. There will be infopoints at specific, crucial points in the city (e.g. the central station) as well as a reader and map with all available information. As we know from the previous international mobilizations and protests, preparing for legal matters is of crucial importance. Take your time therefore to check out legal information on the blog of the G20 anti-repression structure: https://g20ea.blackblogs.org/en/ in various languages. There will be a legal team (twitter: @EA_hh) operating, a demonstration watch /monitoring by the Committee for Basic Rights and Democracy (including people from the OECD Assembly Rights Working Group as well as parliamentarians), a medical team and out of action areas watching out for us and helping us, and people waiting outside the “Gesas” (pre-charge detention center). Legal info in various languages: https://www.rote-hilfe.de/downloads/category/8-legalinfo-in-other-languages. The emergency telephone numbers in case of arrest etc. will be published in the days immediately before the G20 protest week and your trip. Please check with the mailing lists or us if you can’t find them, since you should have them before your trip. Things change quickly; many things will be decided and finalised only in the last days before the actions and demonstration: so get in touch with us and stay tuned! 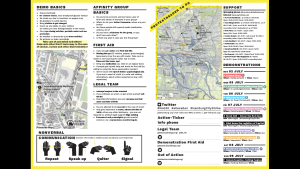 For last Info, telephone numbers, action maps etc:. If you want to participate in the BlockG20 action, make sure to be at the final action assembly on Thursday, July 6 at 15:00! Media coverage, social media, mobilization material. Please spread the call and news, download and put up posters, and help with anything we haven’t thought of yet. If you have any questions around this please contact us (international [at] g20-2017.org). We do need your help not only to prepare everything in advance, to get in touch with us, to inform us about your plans etc. We will also need people who can give a helping hand during the protest week itself – whether it is at the food kitchen, with translation or in the kids’ area. Please keep your eyes and ears open when people ask for help. Allons enfants! In 2017 the Bastille stands in Hamburg! Here you find a brief article about the history and structure of german police, their tactics and how they behave. You don’t have to stick necessarily to the proposed counter- tactics, but nevertheless this article provides a good overview and hopefully leads to a better understanding and thus to a better feeling of safety. 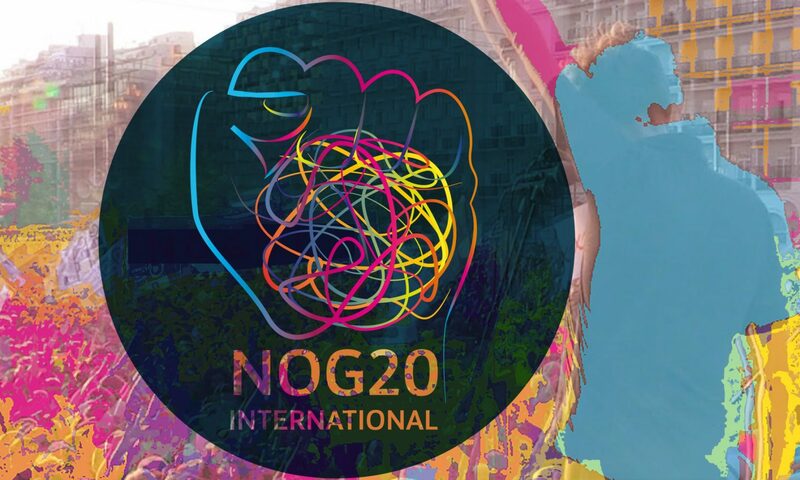 The NoG20 International work group is part of the global preparation of the protests against the G20 summit in Hamburg and is composed by different groups and initiatives from Europe and the world. 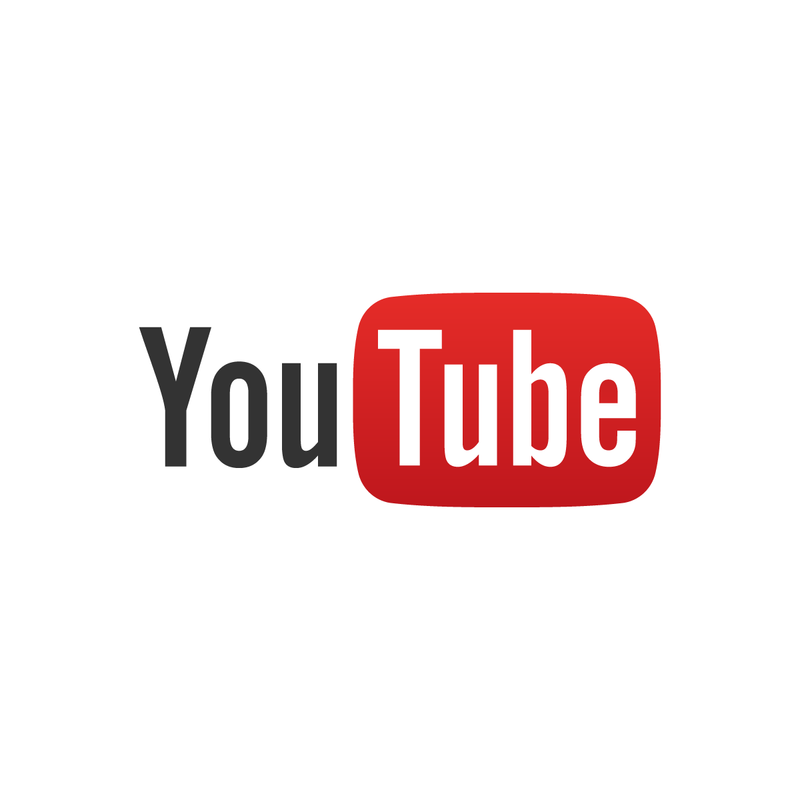 We want to establish a frame in which we encourage people from all over the world to join the protests in Hamburg. We see our task in providing and sharing information regarding the mobilization, but we also want to use this platform to develop common discussions on G20 issues and exchange our political and strategic analyses about the situation of the world. Out of this for example we wrote a call together and an open letter to the citizens of Hamburg. As we are coming from quite different traditions and political backgrounds, we don’t have a common ideology and don’t focus on some single event of the protest week in Hamburg, but we share a common consciousness, that we have to work and to struggle together to overcome global capitalism and that this will only be achieved on a global scale.